New York State United Teachers questions whether computer-based tests are appropriate for elementary-age children. The exams were temporarily halted last week because of technical glitches. 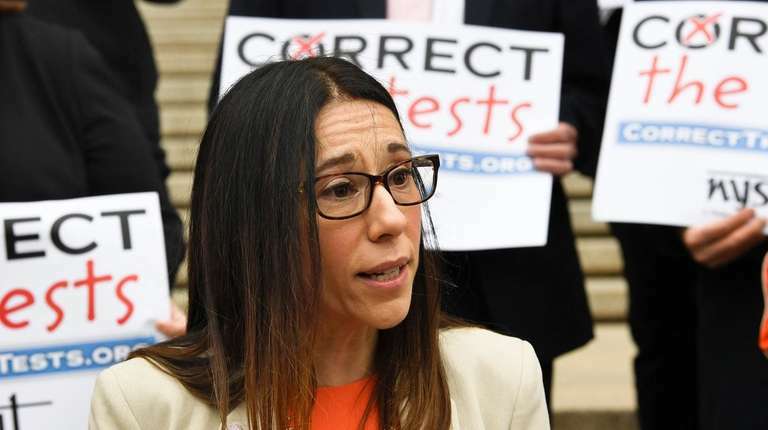 ALBANY — Criticism of New York’s digital tests for elementary and middle school students mounted Monday, as the state’s largest teacher union called for halting the program that involves tens of thousands of children on Long Island and statewide. Demands for a long-term shutdown of computer-based tests, or CBTs, came from leaders of New York State United Teachers after last week's temporary suspension statewide of the digital English Language Arts exam. The stoppage occurred when database servers overloaded because of increased use. Jolene DiBrango, the union’s executive vice president, said the organization's calls for a longer halt stem from a number of misgivings, including doubts that computer-based testing is appropriate for elementary-age children. In addition, the union wants more research to determine what such tests show, in terms of academic knowledge. “We’re not sure whether it measures what students know, or whether it’s measuring their computer skills,” said DiBrango, whose organization represents more than 600,000 educators and others. The group also is urging the state to change its testing in other ways, including a lowering of benchmark scores, also known as cutoffs, so that more students in grades three through eight can reach “proficiency,” or passing level. The union’s position is that such a change would make passing percentages on the ELA and math tests more comparable to those on high-school-level Regents exams. Federal law has long required state testing in English and math. In 2015, New York added new rules, strongly opposed by teachers, that based their job ratings largely on students’ scores. Those requirements have since been modified. Authorities in the state Education Department, which sponsors the tests, responded quickly to the union’s attack, saying that more than 120,000 students successfully completed digital assessments last week. Overall, about 1.1 million students in grades three through eight are eligible to take the exams, with districts determining whether to give the traditional paper-based tests or the digital tests. 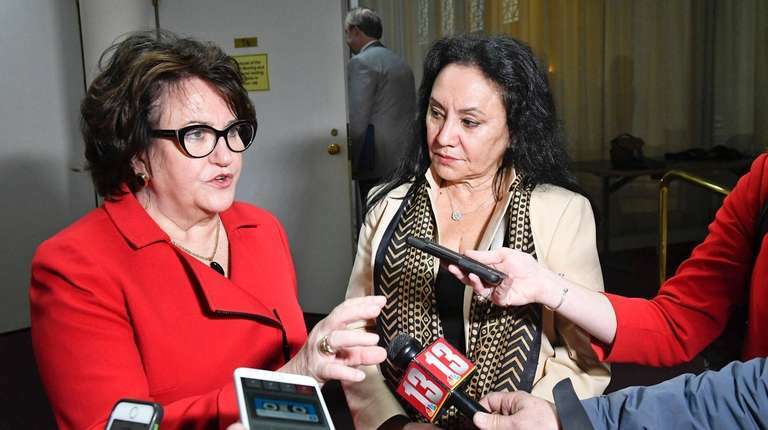 Education Commissioner MaryEllen Elia told a group of reporters that the agency is keeping its options open for the future. School districts that administer computer-based tests do so voluntarily, she pointed out. About three-quarters of students statewide, including those in Nassau and Suffolk counties, continue to take traditional paper-and-pencil tests. But the volume of those taking computer-based exams rose sharply this year. Elia has noted that New York still lags behind many other states in use of digital assessments. A 2016 study, published by the Tennessee Comptroller Office of Research and Education Accountability, found that two dozen states administered online exams. Last week’s acknowledged debacle presented some elected officials with a hot issue. 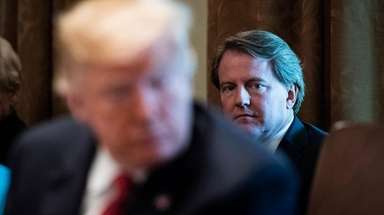 On Monday, four Republican lawmakers, including Assemb. 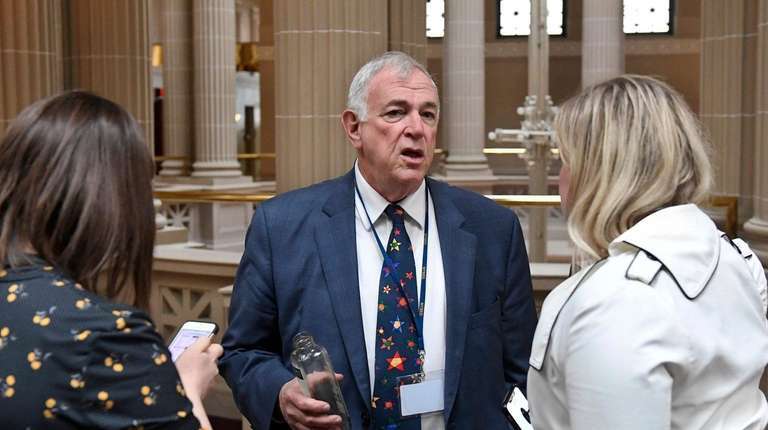 Edward Ra (R-Garden City South), urged public hearings on the actions of Questar Assessment, Inc., the Minneapolis-based contractor that has a $44.8 million, five-year contract with the state to provide the tests. 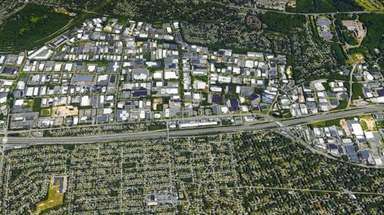 Company representatives have said they understand the public's frustration and have consulted with experts to fix technological problems. 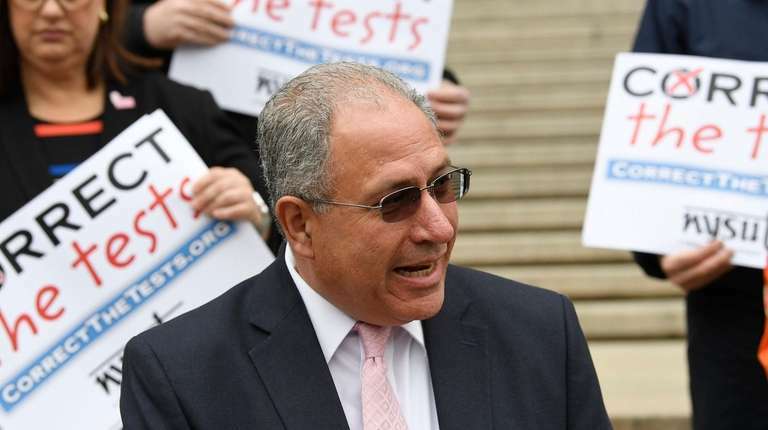 A recent Newsday survey found at least 29 districts in Nassau and Suffolk counties — up from 19 last year — planned to administer digital tests in at least some classes during the test season. 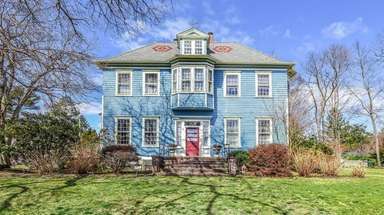 Jill Gierasch, who became superintendent of Mattituck-Cutchogue schools at the beginning of this academic year, said she and her staff will review results of the past week’s electronic testing before deciding on future steps. Mattituck-Cutchogue had students in some grades take computer-based tests both this year and during spring 2018 testing. Gierasch said the district’s testing last year was reported to have gone well. This year, there were reports of students who spent more time than usual taking the exams because of delays caused by technical glitches. “The results left me very concerned,” she said.